Secondary steel output could be driven by recycled scrap. India's small steel producers and processors - commonly called the secondary sector - face strong competitive challenges for survival and growth. These industries across the steel vertical chain - from those using iron-ore to produce sponge iron to those rolling out finished steel - exhibit high degree of product diversity, non-homogeneity and quality differentiation. They also show significant variation in technology use, level of integration and scale of operation. From common rebars to highly sophisticated and complex cold rolled galvanised or color coated sheets and coils, the sector caters to a very diverse range of end users. Their exposure to the market and dependence on external finance are widely differentiated too. This is why they are differently affected by government policy or market shocks. The structural rebalancing of the market usually hits smaller units harder and that is why they often have to fight for survival when the market turns volatile. Despite constraints, they have demonstrated resilience to external shocks and adjust finances since they are less dependent on organised banking system and debt. Despite ups and downs, that the sector is still vibrant speaks a lot about its structural strength in a cyclical industry. 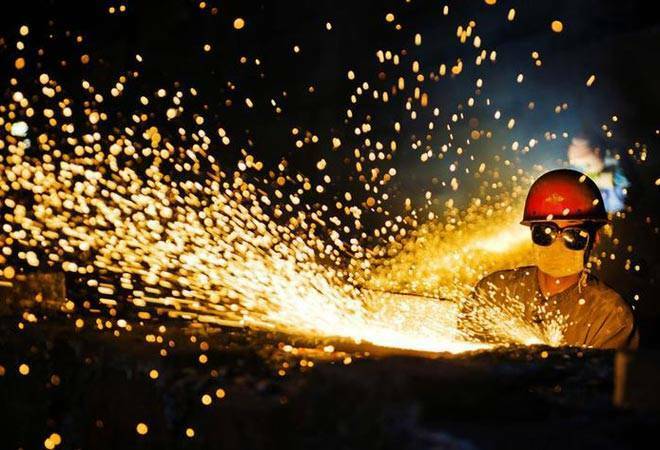 Whether small steel enterprises fill the space left by large producers or there is an inherent techno-economic advantage that holds them up in a changing industry has been a subject of debate within industry and among policy makers. Whether they compete with large integrated steel mills or provide complementary support by providing a market for their products in areas which may be difficult to cater to by their so-called large competitors will have to be re-examined in the context of the current developments in the industry in India as also globally. India is unique with the co-existence of plants of wide variation in size and technology, especially when countries like China are finding such operations as inefficient; others like Japan and Korea have long been dependent on reasonably large plants. This is mainly because of the fragmented capital market with very few being able to mobilise large investment funds for new capacity. While both big and small segments are expected to last, the future of each and their relative growth will depend on availability of raw materials, relative costs, cost in servicing remote areas, sufficiency of investment and operating finance and the cost at which they are available. Other issues determining their relative growth will include level of global integration of steel and their raw materials. A globally integrated market will provide more opportunities to integrated plants for a wider range of products, while SMEs may see opportunities in niche and high technology product areas. Much depends on how each player looks at opportunities. At a time when the world seems to be entering into a trade war over steel, the industry will need to rewrite priorities. SMEs need to work strongly on product development if they have to play a larger role in niche product areas. For that they need to constantly interact with end users in co-operative models. Innovations will be key to survival of SMEs in alloy and stainless steel areas and innovation demands will come from changing technology in areas in which the products are used. SMEs will perhaps be forced to become bigger to overcome diseconomies of scale to accommodate modern technologies and flexibility in operation. It will also be the case that very large integrated complexes will give way to smaller plants of below 5 million tonnes of annual capacity in a single site. While the iron ore and coal situation will remain complex - with environmental and logistic problems as voices against mining get stronger - increased steel scrap generation will be an opportunity for electric steel making. It's possible that over the next 50 years, more than 60 per cent of steel will be made from recycled scrap. For India, which faces shortage of land, it will be easier to accommodate smaller plants.